I was a bridesmaid a few years ago at a beautiful wedding. Having escaped the endless banter from the guests at cocktail hour, the bridal party had retired to the bridal suite. We were chitchatting when the wedding planner walked in, took a seat on the floor in the middle of the room and started balling her eyes out. Horrified, it took us a second to understand what was really going on. Then suddenly as we realized this girl had broken down, we all rushed to her at the same time in panic. Apparently, a few "aunties" yelled at her, a few guests who were not on the guest list claimed to be and raised hell for it and the caterer was running late. The stress had come down like a hammer on her and she just couldn't take it any more. Needless to say, we were all horrified. 1. Know what you are looking for: This is the first step. Like with anything important in life, in order to recognize what you need when you see it, you have to know what you are looking for. What kind of planner will best compliment your personality?One who is hands-on or one who is a little bit more relaxed? And as discussed in the last post, what level of wedding planning do you need? Do you want to get the full package (where they do everything for you), partial planning (where they advise you about vendors but don't do leg work) or just day-of coordination (where they come in 30 days prior)? To make this decision, you should consider your guest list (size and average character) and your own personality. For me, I knew I wanted someone who was Type A like me, someone bold and daring- I wanted a problem fixer. I also knew that because of my personality, I wanted a planner who'd trust me enough to let me handle the aspects I wanted to do solo. On the other hand, if you are a procrastinator and a "lasses-faire" person, just own it and look for someone who can handle every single detail for you. 2. Do your research: Once you decide what you want, ask around. Before you even waste your time scheduling meetings, get recommendations from friends and family who you have had weddings you admire. Your goal should be to create at least 3 solid options to meet with in-person. You can look online at their work but tales of first-hand experience from an unbiased ex-bride client will be the most useful. Remember certifications don't mean they know best. You want someone who has experience but what matters is not how long they have done it but how well. Know the class of weddings they do and types of guests and vendors they have handled. Let's be honest, if you have a controlling family or a crazy Aunt Sue, you need someone who will put your interests first in handling whatever they throw her way or yours. 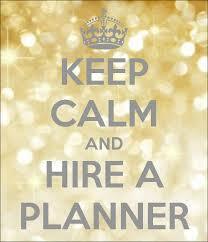 Ask venues and vendors what planner they recommend and ask why because not all preferred vendors are it. Most importantly, pay attention to the details of the recommendation. Make the effort to discern between gossip and legitimate constructive recommendations. When I was asking around about my planner, there were 2 people (who had never used her) who said they didn't like her. When I asked why, they said she's too tough and bossy. What they didn't know was that "tough" was what I was looking for. I was having a 400-person wedding with a guest that was 98% Nigerian with their big personalities. I knew I definitely needed someone tough who knew how to handle stress. 3. Determine professional compatibility: Let's fast forward to after you've called and scheduled meetings with your options. At the meeting, the first thing to find out is just how qualified they are to handle your big day and if they can match in person the results of your research. You want to come in prepared to ask questions to break the silence and kick-start the rapport. It doesn't have to be in an interview-manner- make it conversational so they can relax. What made you decide to go into wedding planning? What drives your passion for it? How will you rate your relationships with vendors in this area? How long have you been doing this? And how many weddings have you planned in this area? What packages do they offer and what exactly is included in each package? Do your packages include additional staff for the wedding day and if so, is there an additional cost? Do your packages include decor design? What is the largest guest list you've coordinated? How many weddings do you typically plan a year? Describe the services you typically provide for these weddings. Can I see a typical staging guide that you have created? Timeline? Floor plans? Will you be present at our wedding rehearsal and wedding day? ***Then pose a potential stressful scenario and ask how they'll handle it. For example, you can ask how they handle an obnoxious uninvited guests who are angry they are not on the jest list or drunken guests. You should also discuss your budget because you want someone who understands your budgetary restrictions and who could within that, breathe life into your vision and theme. You need someone who is knowledgeable about the industry and truly understands what you are looking for and how to apply their knowledge to meet your needs. S/he should also be asking you questions during this meeting in an effort to try to get to know you. They also need to understand your personal preferences in order to design a wedding that reflects your personal tastes. Also, Don't go alone. Go with a friend/family you trust or your spouse. The second opinion will be beneficial because they may see something about the planner that you missed. 4. 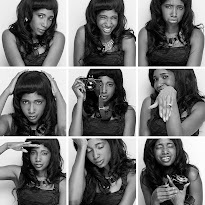 Determine Personal Compatibility: After you have determined that they can handle what you are bringing, you need to find out if you two have chemistry. I knew I needed someone who could match my personality in a way we would compliment each other and not get into each other's way. Think about it as "friend-for-hire/ rent-a-friend". Until the big day, s/he will be your best friend. Ideally, if it works out great, you'll stay friends long after that. You will be dealing with this person during stressful situations so make sure its someone who knows how to handle stress and who connects with you well enough to know when to push and when to back off...You want someone you are comfortable spending time with and you'll trust to have your back because you know they will "execute" your day like its their own. That way, you can relax and even when you think about any potential hitch, you can be secure in the fact that they got it. 5. Give yourself time to Decide: After the meeting, thank the planner for meeting you and that you'd call. Avoid committing before you finish meeting with all your options and discussing with someone you trust or your spouse. To assess, ask yourself, did I feel like the planner heard me? Did the planner understand my vision? Can she execute it? Will she be available for me when I need her? Was there good chemistry? Did our personalities mesh well? It's true what they say that you'll know your wedding planner when you meet them. So, in making your decision, listen to your heart and gut. Pick someone that gives you peace. Trust me, you'd need it later.